Millennial parents are open-minded and realize that there is no one ‘right’ way to raise their children.The availability of books and the Internet provide a wealth of resources, different parenting ideas, and culturally diverse perspectives from which parents take all sorts of information and opinions to craft an individualized approach to how to raise their children. These millennial parents are also moving beyond an archetypal family pattern to adopt a more open-minded, and unconventional perspective on what modern family life looks like. New-age parents are posting everything from ultrasounds to unexpected success and failures, first grade to freshman year, actually creating an alternate sense of self for their children. As per OnePoll – GoDaddy Research, Millennial parents are picking baby names based on available domain names.The new trend that emerged in the study also examines how the internet is shaping up approaches to parenting and how thinking about a child’s online presence now starts while they are in the womb. According to the research, as many as one in five (20 percent) millennial parents said they changed or considered changing their baby’s name based on what domain names were free at the time.The study compared the parenting approaches of millennial parents against those of Gen X and found a huge growth in the number preparing their kids for a life online before they are even born. The research, conducted by OnePoll on behalf of GoDaddy featured 1,000 millennial parents (aged 24-38) and 1,000 Gen X parents (aged 39-53). The importance of a strong internet presence for children has nearly doubled among parents between the generations – 48 percent of millennials believe it’s important for their child to have an online presence early in life, compared to just 27 percent of Gen X respondents. Millennials are especially familiar with the value of an online presence, given their own experiences growing up as digital natives. 58 percent of millennials have reported getting their first social media profile between the ages of 10 and 17, compared to just 10 percent of Gen X parents. Millennial parents are much more proactive with getting their kids set up with their own websites, too, as 38 percent have created or are considering creating a website for their kids. Only 20 percent of Gen X can say the same. The top two reasons parents said they created a website include for future job searching (48 percent) and college application (47 percent) purposes.Some parents (37 percent) believe personal websites will take the place of social media, and created a website with this in mind. The results provided a revealing insight as to how the internet is an ever-growing presence in a child’s life -the average child of a millennial has 107 photos of themselves posted online before they can even walk.This trend is only growing with time and it’s especially noticeable when comparing the millennial results to the Gen X results. For instance, Gen X parents were found to have posted 56 pictures fewer of their child online before they could walk than millennial parents, and only 23 percent posted a picture of the ultrasound online, compared to 54 percent of millennial parents. But parents of all ages are conscious of their children’s digital identity: 94 percent of all survey respondents reported that they plan to speak to their children about how to responsibly maintain their online presence. Education on how to represent oneself online is a top priority for parents. Nearly half (42 percent) of respondents that had created a website for their kids intend to teach their kids what should and shouldn’t live online, using the website. “Today, parents have realized the opportunity that the digital space can create for their kids and increasingly they are claiming their child’s name and online identity to help set them up for future success. Teaching these new parents how to represent oneself well online is vital. We, at GoDaddy, aim to continue leading the domain industry growth in India, by providing the right tools, solutions and information designed to help our customers easily construct and manage their online presence,” said Nikhil Arora, Managing Director and Vice President, GoDaddy India. 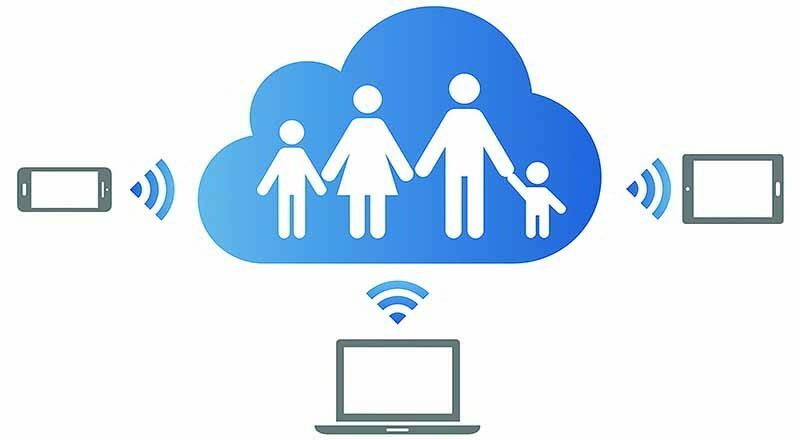 McAfee, the device-to-cloud cybersecurity company in its latest survey, ‘The Age of Consent’ found that 40.5% of parents in India post a photo or video of their child at least once a day on their social media accounts with 36% posting a picture of their child once a week – highlighting the extent of child exposure on the web arising out of a desire to stay connected with friends and family. Most parents identified the following concerns associated with sharing images online including pedophilia (16.5%), stalking (32%), kidnapping (43%) and cyber bullying (23%), but many (62%) don’t even consider if their child would consent to their image being posted online.What’s even more alarming is that a whopping 76% of parents say they are aware that the images of their children posted online could end up in the wrong hands. Many parents admit to still including their children’s personal information and private details in online images. For example, more than half of the parents surveyed (67%) admit that they have or would share a photo of their child in their school uniform despite the risk of giving away personal information thus paving the way for stalkers to get added details on their child’s whereabouts. While 55% of parents only share images of their child on private social media accounts, 42% are still sharing images on public social media accounts. The survey also found parents from Mumbai to be most active with 48% posting a picture of their child on social media at least once per day in comparison to other metros like Delhi (38.5%) and Bangalore (31%). Parents from Bangalore (59%) exercise highest caution and post pictures of their children only from private social media accounts, closely followed by Mumbai (57%) and Delhi (48.5%). Parents from Bangalore (54.5%) are also most vigilant and admit they would never share a picture of their child in a school uniform, while parents from Delhi (77%) and Mumbai (71%), admit to doing so. However, across the country, majority of parents still believe they have the right to share images of their child online without consulting them first – Mumbai (66.5%) followed by Delhi (61%) and Bangalore (55%). Interestingly, it appears moms consider the embarrassing side effect more than dads, with 47% mothers admitting that they would never post images their children would be embarrassed by, in comparison to 38% of dads. However, when they do, mothers (63%) are also less likely to seek their child’s permission before posting an image of them on social media, as opposed to fathers (55%). The survey also highlights how mothers are more conscious about online behaviour when it comes to their children with 73% admitting they would never share an image of their child under 2 without clothes on over social media in comparison to men (66%). On the other hand, the dangers that discourage the two are varied as fathers (47%) are most concerned about the danger of identity theft while mothers (49%) are most concerned about the image of their children being edited/photo shopped.